The Annecy Festival is expanding to Asia. 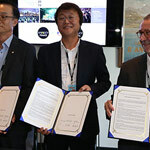 Festival organizers CITIA, Image et industries créatives (France), the SBA Animation Center (South Korea) and SK Broadband (South Korea) signed a partnership agreement to create a new animation festival in South Korea: The Annecy Asia International Animation Film Festival. The first edition will take place in Seoul in 2019. 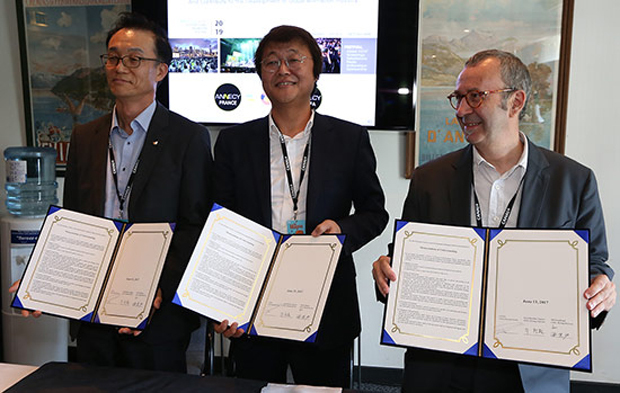 The creation of the Annecy Asia International Animation Festival is a project carried out in cooperation with the SBA Animation Center and SK Broadband (South Korea’s leading broadband provider). The three partners plan on launching the project in September 2019 at the Digital Media City, in the heart of Korea’s cultural industry. In South Korea, the animation sector is rapidly developing. This partnership will therefore enable the country to give structure to its industry, to step onto the international market and promote the exporting of local productions. Can local TV be made profitable? Ask a Stoner: Do Any Dispensaries Not Scan IDs?